It’s been a while since my last post, as the summer has been ramping up I have been spending every minute I can outside enjoying the weather. With that said I will try to start making more regular posts again. So what brings me back today? The launch of Ascend Innovations. Ascend is a collaborative innovation center with a purpose to improve life by forging commercially viable human health solutions. It is a new for-profit venture between the Greater Dayton Area Hospital Association (GDAHA), and Kaleidoscope in collaboration with the Air Force Research Laboratory (AFRL) with a focus on combining purpose driven design and state of the art technology to develop an ecosystem that produces commercially viable solutions in human health innovation. Specifically, Ascend is a cross-functional product design and development team made up of clinicians, researchers, industrial designers, engineers and business analysts focused on constantly redefining what is humanly possible. Check out the Ascend website here. To help launch this new initiative we needed to develop a short explainer video to help people better understand what Ascend is and how it will help foster commercially viable medical innovations. Below is the result of our efforts. With a short deadline, and multiple stakeholders this video proved to be difficult, yet ultimately was finished on time and under budget. Upon launch of Ascend this video has driven a number of new conversations in both the industrial design and visualization services provided by Kaleidoscope. Storytelling is an art, and may be one of life’s most powerful skills. A story well told can make us laugh, weep, swell with pride, or rise with indignation. A story poorly told can be boring, uncomfortable or absolutely painful to endure. Stories are an integral part of our society from the beginning of time. The art of storytelling is how we record history, everything from monumental events to the small everyday tasks. The oral storytelling tradition is as old as language itself. Throughout history, stories have primarily existed in the verbal realm. With the explosion of social media, today more and more we are seeing stories live in the virtual realm. It is amazing how adept our brain is at recognizing patterns of information and assigning them meaning. Stories, too, are recognizable patterns, and we use them to find meaning in the world around us. We see ourselves in them, and the stories we hear become personal to us. Because we are so good a picking up on patterns in information, we have found that all of the worlds best stories follow a few simple formulas. Checkout Wisesloth’s website for more information about these storytelling techniques. Even though there are numerous formulas for telling a story, sometimes a method has been so well developed that nearly everyone follows the same mold. This leads to a lot of stale, boring, projects that can end up having a negative effect on your business. Take for instance the corporate brand video, when was the last time you saw a corporate identity piece that did not feel like every other corporate video you have seen in the last 12 months? I am willing to guess, it rarely happens. Corporations and agencies alike are so desperate to keep up with the current trends that they often end up playing catchup to the companies they are really striving to be. Checkout the below generic brand video, other than the sarcasm you could drop in nearly any top company’s brand and no one would be the wiser. As you can see above, simply following a formula to tell your story is not enough in today’s digital landscape. You have to be able to tell an engaging story while at the same time distinguishing yourself from the competition. But how you ask? That i am sorry to say is a topic for another time. Check back soon for part 2. Everyday in our professional lives we face complex challenges, some threaten the success of our projects, others are simply just repetitive and tedious. Running into these types of challenges while under a tight deadline or a tight budget can cause numerous headaches. Rest assured, there is always a solution. Recently in my project worked I faced just such a dilemma and it had me perplexed. My client is developing a series of help videos for a new device to be released internationally. This series of videos includes complex GUI animations that demonstrate trouble shooting steps for the end user. 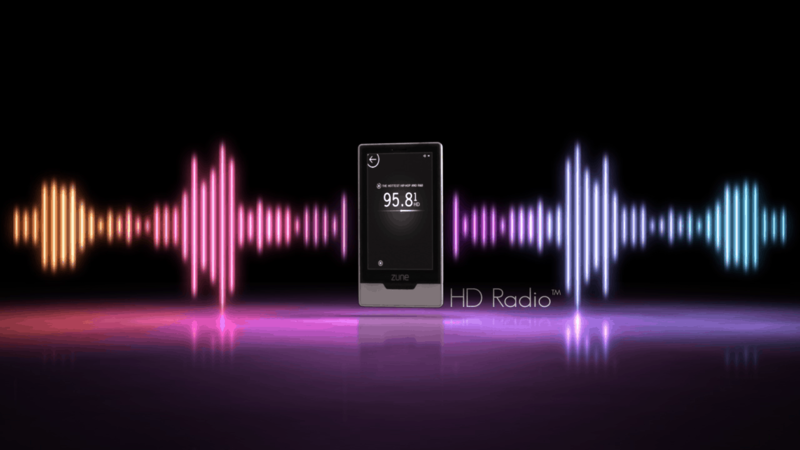 With the device being released internationally, the help videos would need to be developed with up to 12 different languages. This request initially seemed to be a logistical nightmare. Throughout the various videos there are up to 7 – 8 GUI screens that each contain up to 8 lines of text that will need to be updated in 11 new languages. The thought of updating each line of copy manually is the stuff nightmares are made of as this task would take weeks to complete. Not to mention the potential issues that could arise; misspellings, punction issues, format errors, missed translations, among others. To complicate matters further, I do not speak any of the languages that we will be translating, meaning any of these oversights I would be unable to identify on my own. Thankfully, after doing some research on AEScripts.com I came upon an amazing plugin that has just saved me a lot of gray hairs. Introducting text2spreadsheet by the wonderful folks over at mamoworld tools. Mamoworld’s text2spreadsheet is a simple yet powerful plugin for Adobe AfterEffects. This plug is designed to export all text layers in your project to a excel spreadsheet. The real power in this tool comes from being allowed to replace copy in your project. So how does it work? Checkout the video below. So whats the moral of the story? Always keep an eye out for new tools to help you do your job faster and easier. After all, we are constantly combating tight budgets and tight deadlines, so any tools that can help you streamline your workflow will only make you more profitable, and just might let you grab a few extra Z’s at night! Ah, who am I kidding? That extra time will be spend on another project! Have you ever felt like you were running as fast as you could but going virtually nowhere? Maybe running in quick sand? Or trying to run in a pool? Isn’t much fun is it? Welcome to my experience building this website. Seems no matter how fast I try to go, I am making progress in slow steady increments. With limited experience building web sites I decided to go with WordPress for my portfolio site. The thing I loved about WordPress is that with a few clicks of a button you have a webpage, way easier than writing the HTML yourself that’s for sure. Little did I realize though, WordPress sites can become extremely complex, from various plugin to numerous themes, finding the right combination for your site can become a major pain. Luckily, God gave us Google! Without searching Google for answers to my never ending questions I would probably be bald or worse, beardless! The development of this web page has been a slow process, but I believe I am beginning to make solid progress. I have most pages up with a few more left to create. I have learned quite a bit about the WordPress format over the last couple of week and will continue to look for ways to make the site better. So do not freak out if you log in one day and the look is totally different! Also, keep your eyes peeled for some much needed page revisions; Gallery, Portfolio, Resume, and Services pages are all coming soon! While teaching myself how to use After Effects and learning motion graphics principals, I came across a Microsoft Zune commercial that incorporated complex motion design and 3D assets. To test my capabilities, I utilized Adobe After Effects to recreate the commercial. Below is the result of two and a half days worth of reverse engineering. Prosolia, an Indianapolis based scientific instrument company approached Kaleidoscope to develop a marketing video to be used at trade shows. The purpose of this video was to help attract visitors to the Prosolia booth and promote the Velox 360 auto sampler. 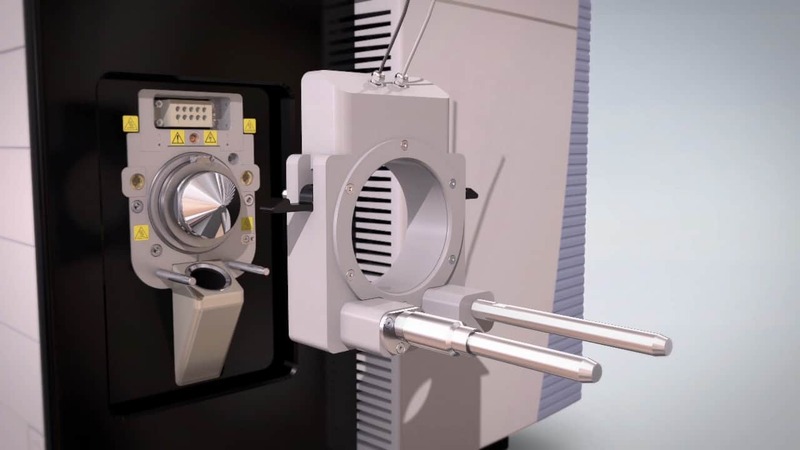 The Velox 360 auto sampler is a simple & versatile interface for drug screening and quantitation. Designed to eliminate unnecessary steps in the analytical workflows and get from sample to result faster. To meet this need, we crafted a 3D animation that showed off Velox 360’s technical feature set and automated sampling capabilities. The high fidelity rendering, along with rich visual effects and motion graphics, made this video a great success in drawing conference attendees to the Prosolia booth. Wearing many hats, I had a hand in all aspects of the production from project planning to animation. I was able to manage an ever evolving team of talented artists to create a high quality animation while working under a tight deadline. Another significant challenge included balancing resource schedules between multiple projects. I was able to flex in various resources at different points in the project with limited ramp up time. Utilizing multiple resources through out the project played a key role in this project being completed on time and on budget. In 2010, while working at Kaleidoscope I had the opportunity to work with Whirlpool and DezignWright to begin develop Kitchenatomy, a scalable training application designed to teach the features, benefits, and key marketing messages of the Kitchen Aid line of appliances. The application consists of training modules accessible through this virtual kitchen and has grown to include nine different appliances. 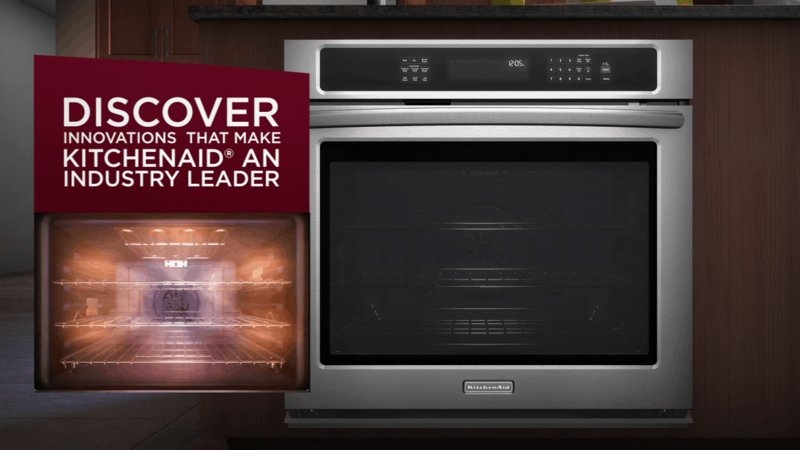 Although used primarily to meet marketing education needs for Whirlpool’s sales team, Kitchenatomy was also repurposed as a consumer-facing marketing tool that allows consumers to learn about their appliances in a new and exciting way. The Kitchenatomy app is currently available through the Apple AppStore, or as an online download. Throughout the production cycle on Kitchenatomy I mainly worked as a 3D Artist, Compositor and Motion Graphics Designer. My role included animation, shading, lighting, compositing, visual effects development and motion graphics. As this project was an ever evolving initiative that lasted multiple years, the project team faced multiple challenges ensuring consistent look and feel across all appliances. With each new appliance the potential for lighting or material changes increased, as a result the team developed strict file management protocols, additionally the compositing process was streamlined allowing all changes to be controlled through a master composition. Without these process’ in place the consistent look and feel of Kitchenatomy would have been nearly impossible to achieve. Take a step back with me as I look back at CES 2014, the biggest, most awe-inspiring-est tech show on the planet. If you are a tech nerd like I am then this is the place to be to see what the brightest minds in the biz can cook up. From the latest in wearables, smart appliances, the future of automobiles and everything in between. While working for KALEIDOSCOPE I was afforded the opportunity to work with the team at Whirlpool to develop a presentation around their new cooking concept to be presented at the Consumer Electronics Show 2014. This new cook top is a highly innovative cooking concept that combines the culinary process with all the connectivity you have grown accustomed to while fusing them into one flexible user experience. This cooktop concept gives the user access to all their recipes, music, e-mail, social media feeds, and more all without having to step away from the fantastic dish you are working on! As this project is still just a concept, I had to work closely with Whirlpool and other vendors to develop an efficient solution for presenting this Interactive Cooktop as a production ready appliance on the show floor at CES 2014. The project was designed as an interactive simulation that allowed the presenter functional control of the presentation from a discrete wireless device. This gave the presenter an ability to stop their presentation to answer questions and interact organically with the audience. 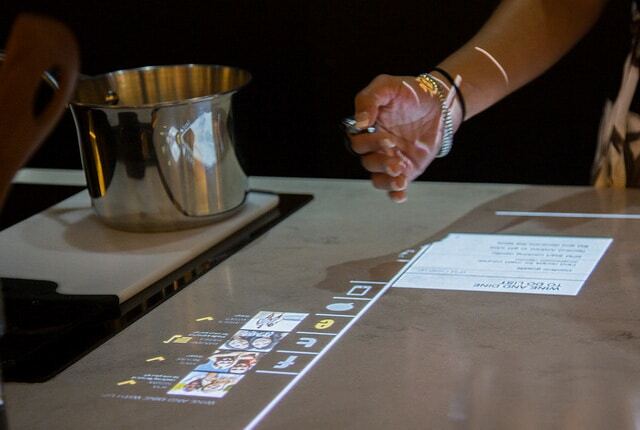 To enhance the concept, the simulation was projected onto the cooking surface, giving the user interface design a bright, fresh, and elegant feel. The end result was a functional asset that spanned the realm of modern functionality and futuristic technology. My role in this project was quite diverse as I was not only the motion designer, but also the Project Manager. This project posed a unique challenge for me as we had an extremely tight deadline and the asset we were developing had to work in conjunction with the booth being built for CES. Working with multiple vendors, across multiple disciplines helped me to sharpen my skills managing team members. The scope of the project also gave me vital experience in Project Management ensuring multiple phases all came to conclusion to meet a tight deadline while staying on budget. This project turned out to be a huge success on the show floor and across the web, generating a number of articles and social media responses, validating for Whirlpool that smart appliances are the wave of the future. Checkout the Interactive Cooktop that had CES 2014 buzzing! Welcome! Thanks for checking out my new and improved portfolio site! It has been a while since XSPixels.com has been live, as we all know life throws a lot at you sometimes. Well, its official I’m live! What can you expect from xspixels.com going forward? Lots! I plan on using this site for a number of different outlets, ranging from sharing tips and inspiration, to discussing my thoughts on the industry and interacting with the community. Feel free to check out the site, the work and if you have any questions do not hesitate to reach out. I look forward to growing this site and cant wait for what the future holds! Check back soon for more updates!